The fall wedding season is almost here! Fall has become a very popular season to get married in and it’s easy to see why. 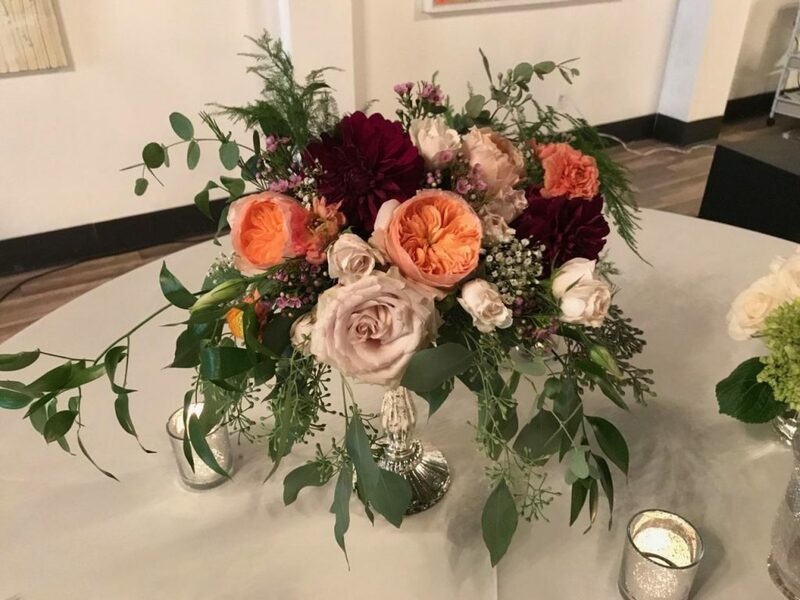 With all of the beautiful colors happening outside and the endless holiday flavors that can be incorporated, who wouldn’t you want to get married in the fall? Depending on where you live, the weather can make planning for a wedding hard. I know here in Nebraska, one never knows if it will be blizzarding or 70 degrees outside. The weather seems to be the only deterrent in having an autumn-themed wedding. But less couples are letting that get in the way, however. 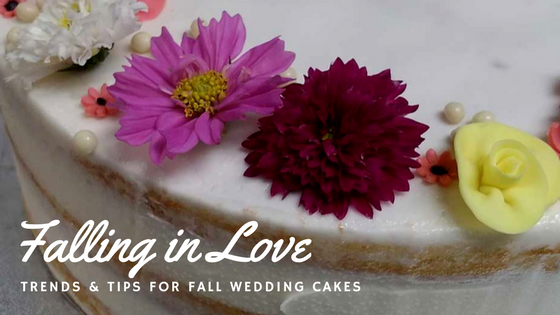 Autumn-colored flowers are popular among fall brides, and will inspire a beautiful cake. I am doing a fall wedding cake for a good friend of mine at the end of October. She, like many other fall brides, has opted for a natural, rustic look, using a cake stand that looks like a tree stump and incorporating earthy colors and greenery. My friend has chosen to go in a very elegant direction and using a fondant lace effect on the outside of her cake coupled with small flowers, and then accented with vibrantly-colored fresh flowers and greenery. For other fall weddings, I have accented simple buttercream-iced cakes with a wood grain effect subtly drawn into the fondant or buttercream. Subtle wood grain effect accented with fresh flowers. Another common trend in general, not only with fall cakes, is the look of a partially “naked” cake. A “naked” cake is filled and frosted, and then the frosting is scraped down so you can see a good portion of the cake through the frosting. Then it can either be left unadorned or embellished with more fresh flowers and/or greenery. 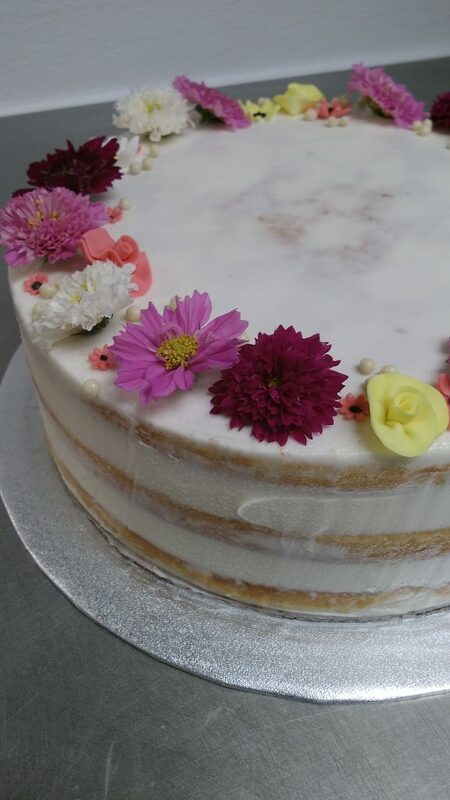 “Naked” cake accented with fresh Farmers Market flowers. No matter what season you want to get married in, we absolutely love working with wedding couples on making their cake dreams come true. My tip for brides and grooms: even if you aren’t sure what kind of cake or design you want, bring in ideas of things that you already have made decisions for in the wedding. You could show me pictures of what flowers you are using or what colors you are incorporating, or even what the wedding dress looks like. These will all give me a good idea of what you are looking for in a wedding cake. I am more than happy to design something custom and perfect for your special day. 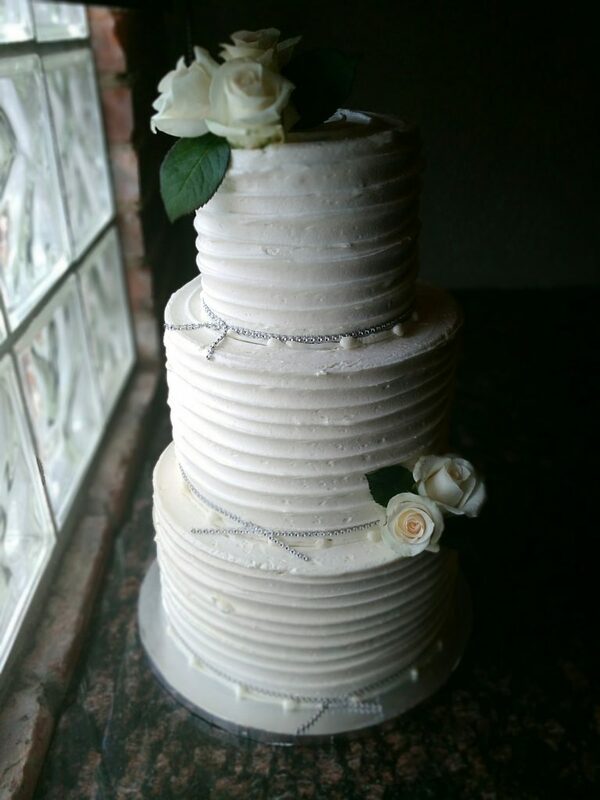 Let us create a magical cake for your wedding, in any season. Get in touch via Facebook, our Contact page, or by requesting a Quote, calling 402-975-2322 or emailing contact@therabbitholebakery.com.